I've written a review for the publishers. It appears on the back cover and inside near the front page. I've known Jon for years and was flattered when he sent me bound proofs to see what I thought. Of course I read it. Let's face it. It's the only chance of getting my name on a book. 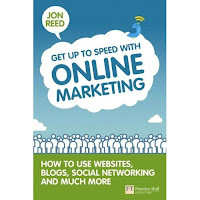 Get Up To Speed With Online Marketing is a straight-forward guide to using the web and social media to raise the profile of your brand, business or profile. Despite the fact that I know Jon well and might be, well, a bit biased, I have to say - with hand on heart - this really is a cracking guide. For those of you who know Jon, he has a dry sense of humour and you get a sense of this in the book. He has direct advice for those flummoxed by the thought of web marketing. Each chapter includes: why it may work for your business; what you need to consider; practical steps to get started; tips to stop you making mistakes; graphs, tables and illustrations to help you picture what needs to happen; and case studies to inspire you. 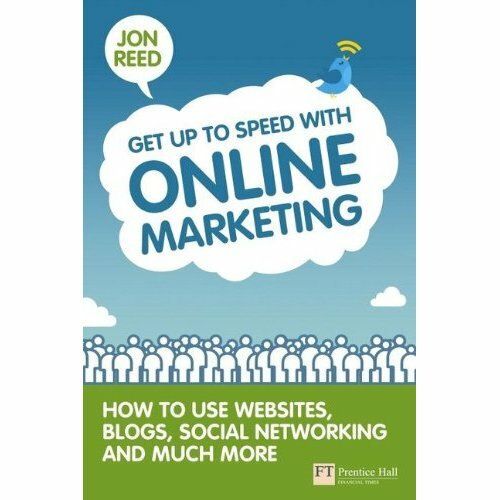 Drawing on several years running Reed Media, Small Business Studio, and Publishing Talk, Jon starts with a reality check: 'traditional marketing doesn't work: get over it!' He provides a quick overview of online marketing strategy. He then runs through the basics of getting online, the different media you can use, and a crash course on the main social media platforms. It really is a brilliant beginners' guide to using the web to boost your business profile. And it's got my name on the back. Hell, follow ME on Twitter!